I can’t get over the lunch date i had today. This mumu Gbenga must really think highly of himself o. Very shallow thinker as well. I don’t know how i managed 45 minutes with him and didn’t hit his head with the bottle of red wine on the table. Imagine him saying no matter how accomplished a woman is, she must take her place in life as the second class citizen she is… SMH. That was the end of lunch for me. As fine and educated as he is, abeg please remind me to block his number. And i thought there was something there, i even went all out to get dressed for the date. I miss my girls sha, can’t wait to have them back in town. Work on the other hand is going on pretty well, the pressure is less, although i’m working on another client. I hope i can seal the deal before my birthday. That’s how 26 has come knocking o, babes aren’t getting younger. I’m most excited about my savings, i can’t believe i can be this disciplined. It’s been tough but the account statements makes it all worth it. I cancelled my card at SoleDivas before i fall into temptation. I haven’t bought any shoes in 3 months and that’s a feat. Altogether now, i have a total of 211 pairs. Except they are a gift, i won’t be buying anymore shoes till Christmas. 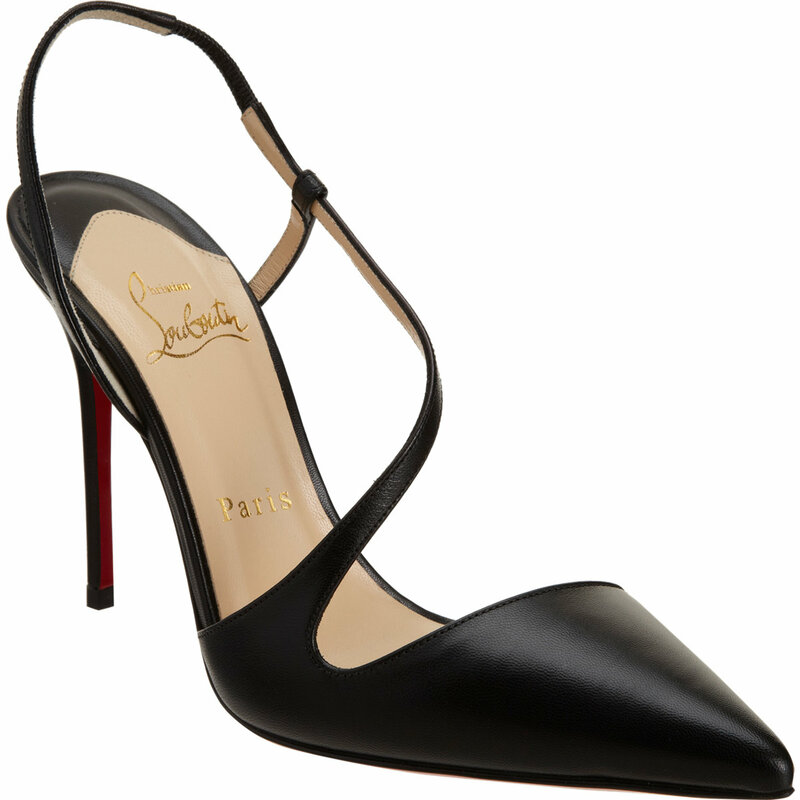 If Christian Louboutin likes, he should sell his shoes for N2,ooo each *side eye*…. It had been a slow 2 weeks for me without Aisha and Ivie, i didn’t realize how much my life revolved around them until now. Ivie had gone on honeymoon in Kenya a few days after her wedding and they had traveled to the USA afterwards. They had it in their plans to relocate and had gone house hunting. Aisha on the other hand had gone to see her family. The visit was long overdue and i was happy she had made the move. Being alone wasn’t such a bad thing after all, i needed to develop myself mentally and reading was a good place to start. I was currently reading He-Motions by T.D Jakes, i have always liked the man and his preaching methods but never really paid any attention beyond a few sermons i watched randomly on DSTV. I saw the book with Sister Moji and had borrowed it. Since Hakeem proposed, i have deliberately avoided him. The day after the wedding, we had all gone out to have lunch with the couple and a few friends and later that evening, he dropped Aisha and i off at the airport. I called to tell him i had arrived Nigeria and also to say thank him for looking out for me. But after that, it had been quiet. I think he got the message too as he didn’t push much in terms of trying to communicate. A few days ago, we chatted briefly. The following morning, i woke up to another message from him. I had not been able to bring myself to reply and he remained quiet too. I couldn’t exactly say what the problem was. To be honest, i liked Hakeem a lot and one time in the past, i had played with the idea of us dating but there was a girl he liked at the time, so i squashed it. I had seen him as nothing beyond a friend ever since. All of these emotions coming from him was a big surprise and difficult to swallow. I had heard and seen how friendships had gone sour when it became intimate, i even had two experiences of mine. Truth is i wanted Hakeem in my life forever and friendship seemed to me to be the only way to make that happen. I hadn’t told Aisha and Ivie about the proposal, it was only my mum and Sis in law that knew. Sis Moji had a long talk with me the last time i visited her. She had asked me to point out what i really wanted out of marriage and be honest with myself if i thought i could find it with Hakeem. She also asked me not to expect too much but just be myself and take it one day at a time. It was the best counselling session and i learned a lot. On my own, I had been doing a lot to build my faith and to see marriage and all it entails as God had created it to be. I even started attending a singles fellowship in church. Apart from man issues, there was the urge to have a deeper relationship with God. I know i couldn’t run from Hakeem forever, i would have to face him soon but i needed to clear my head first and be true to myself. It was my birthday in less than a month, i should have straightened out all the awkwardness before then. I had a client meeting on Monday morning and couldn’t decide on what to wear. I would be meeting with the Managing Director of the company and i had heard she was moved by a power dresser. There were these black sling-back pointed pumps i discovered while i was clearing and organizing my shoe closet and they looked like the perfect pair to make a statement without trying to hard. They were a steal i got from Zara to a pair of Louboutins i had seen and if not for the missing red sole and difference in leather, you wouldn’t notice the difference. My black Pigalles Louboutin pumps would have been my first choice but with a woman who knew her shoes, she would probably get the idea i was trying to impress. I had 3 outfit options, I didn’t want to look too over bearing, neither did i want to look timid or relaxed, i just wasn’t sure which would strike the balance. I had two more days to decide, i’d ask mumc for help.But first to prepare and perfect my presentation. Mumu a Nigerian slang that means dullard or idiot. Choi a Nigerian slang that can translate to damn!! Catch Up With The Diary Of A Shoe Lover – The Complete Three Seasons!!! Diary Of A Shoe Lover – Season 3, Episode 6 – Cheers to Happy New Beginings!! !